Very Good. The Given Sacrifice (Change) by Stirling, S. M. Glued binding. Paper over boards. With dust jacket. 369 p. Contains: Illustrations, black & white, Maps. Change. Good. 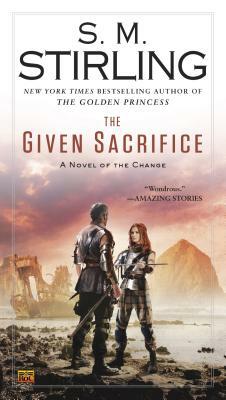 The Given Sacrifice (Change) by Stirling, S. M., 2013-09-03. Glued binding. Paper over boards. With dust jacket. 369 p. Contains: Illustrations, black & white, Maps. Change.